So, dear readers, there’s a big deal on PucaTrade that I want to address this week: Promoted Trades. Here’s the official link and also worth a read is the FAQ. What’s this mean for you, the dedicated PucaTrader? What’s it mean for the future of the site? Read on, because there’s a lot to unpack and a lot to think about. First of all, I want to address the first thing that comes to my mind. This is an official bounty. It’s exactly what people have been doing for some time, and if you’re already offering a bounty (as I am) then this might seem silly. However, if you are one of the surprisingly many people who’s been stiffed on bounties, then this is a really big deal. I asked around for stories of people who have been promised bounties but they were never sent, and there’s a surprisingly large number of such people. There’s a factor at play in that there’s many times more successful bounty trades (for instance, all the ones I’ve ever sent and all the ones I’ve ever paid) who I didn’t ask for, but I thought the numbers would be much lower. That’s the kind of experience that will turn someone off from PucaTrade, or any similar site, super quickly. Official bounties, now called promotions, offer users exactly this experience, only now it’s enforceable and official. Before, there was no way to get the points promised, it was all on the honor system. You could reassure yourself a little by sending messages back and forth, but in the end, it was about trust and some people got burned. PucaTrade is based on a trust system, because you have to trust that this imaginary currency is worth something. Other people will want these points, we hope. We trust that PucaTrade won’t just shut down and take our points with it. Trampling that trust is something that can ruin not just one user, but everyone who that user talks to. It’s also worth considering how this has already taken 661k points out of the system, and this is with a relatively small number of cards available as promotions. I’m looking forward to the implementation of promotions for at least all Masterpiece-series cards, past, present, and future. Taking points out of the system is what needs to happen, because right now, Pucapoints aren’t worth much. I am just a little worried that they are doing this so piecemeal. They aren’t implementing this for all versions of a given card, just certain ones. While that’s annoying, it does provide them a data point for comparing how many people are using this system so far. I confess that I don’t like the fee. I get why they are doing it–they are always on the lookout for ways to remove points from the system–but it’s a fee on top of a bounty that must be paid, effectively increasing the bounty that much more. I think that PucaTrade would be better if it untethered from actual finance sites and built its own algorithm for what a card is worth. They are just too slow to adapt sometimes, and that’s problematic for me. I also don’t like when there is a gap between a card’s value in Pucapoints and full retail. Big gaps represent a disparity in knowledge, and that smacks of trading like a shark to me. PucaTrade is giving us a graph, but like most of their data, it’s an incomplete one. So far, we have a chart of what’s been promoted and traded the most, and their data shows that the promoted versions are trading much more briskly than their un-promotable counterparts, but that’s not really a surprise. I really wish we had data on the quantities of the promoted cards traded before and after the feature went live–that’s the thing I really want to see people doing, is trading high-value cards that they weren’t willing to trade before. Saheeli Rai is not a shock as the most-traded promoted card. 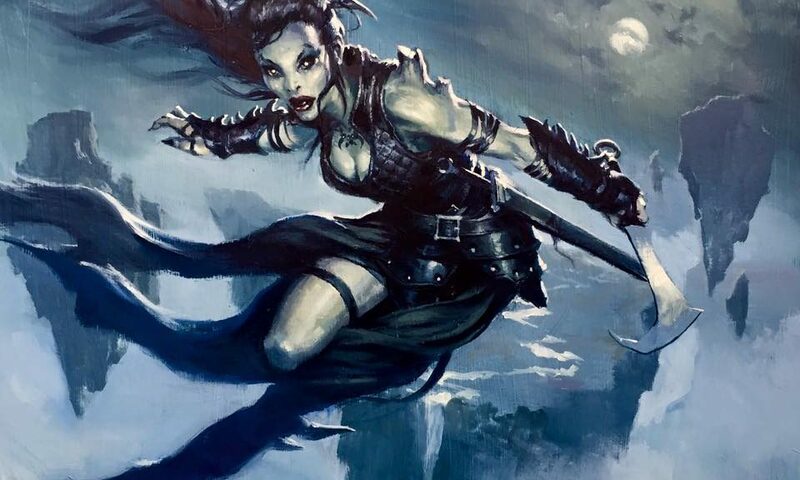 She’s spiked, so people that got her cheap are ready to unload her at a premium, but she offers a two-card infinite combo in Standard, and it’s been a while since that was a thing. Lots of people that have her plus lots who want her is going to result in a lot of trades anyway. Thought-Knot Seer, Windswept Heath, and Darkslick Shores are less than half Saheeli’s trades of 27, but are the only other ones over ten since the feature went live. I think that promoted trades are a great idea. I don’t like the bonus fee, but if it is for a card I REALLY WANT then I don’t mind. I want more data too, but I’ll take what I can get. I also want to add my recent experiences with PucaTrade. I’ve been carrying a balance of about 20,000 points for a few months now, and reciprocal trades in Discord didn’t really make a dent in that, and also were annoying to try and hustle for. So I stopped all that, and instead I have been sending out a small trade every 2-3 days, and I’ve gotten a rush of random sends. I think that the sending of cards out has kept me in the ‘active traders’ setting, which has helped my visibility. I also think that my stated bounties are part of the reason why, but I’ve been at these bounties since Thanksgiving with no effect. (I was offering 20% on all, 40% on foils, and 75% on Inventions.) I’m going to revise my bounties, since I’m getting shipped an Invention Platinum Angel, and I am pretty much drained dry at the moment. Right now, it seems like they are pushing hard to reward people who are either new (New Traders being the default on sending) and Active Traders (People who keep points flowing) while not giving a lot of benefit to those who have built up a lot of points. It’s quite worrisome that in order to get my value in PucaTrade, I had to send out more cards. The value of my points did not change, but what changed was my visibility–a trait which has me concerned. If the only way I can get the cards I want is to send out cards, how can I ever get out of the system? Beyond that, though, it’s the meddling and the impact that have me thinking. This is interference. It takes deliberate effort to send a regular user a card. Imagine if the default setting was to send to Gold members, and you had to choose to send to Silver or non-paying members. I like promoted trades, to review, but I would love to hear from other people on the comments or on the forums. Can we replicate my experience? If you’re sitting on a significant amount of points, start sending a card every other day or so and let’s see if we can duplicate what happened to me. Oh, and if you’re at GP San Jose this weekend, find me on Twitter (@wordofcommander ) and let’s play some games and make some trades! I have to admit, spoiler season is tricky on PucaTrade. For the most part, stuff doesn’t happen fast on there. I find that a lot of Standard cards move pretty quick, but a lot of people are cautious this time of year. Some things are already spiking in anticipation of being played with new cards, which is always a fun exercise. I like the optimism of what people don’t want to let go of right now, but I want to look at the Battle for Zendikar block and pick some cards for long-term appeal. It’s possible that these could spike during their remaining months in Standard, but these are mostly picks that will be paying off in the long term. Some of these are unique effects, some are casual gold. All of these are cards I’ve got on my want list, and some have been mentioned by me or by others before. The rest of this content is only visible to ProTrader members. To learn how ProTrader can benefit YOU, click here to watch our short video. ProTrader: Magic doesn’t have to be expensive. Before we get to some picks this week, I want to talk about Freytag’s article, Promoting Trades, because it’s so directly relevant to what many of us do. I’m already offering a 30% bonus on foils I want, and lots of other members are offering bonuses too. That’s the key word: bonus. This isn’t necessary. It’s not a requirement. I am aware that some people like getting a bonus, so I offer it. I want these foils and giving a sweetener is just fine by me. But it is not a requirement. It’s extra. Most trades on the site don’t have a bonus. Pucatrade is working hard to take points out of the system, and a fee for promoting trades that can be paid in points is going to further that goal. I cannot overstate how awesome it is that the fee for getting your needed Invention can be paid by sending some other member a pair of Saheeli Rai, or some such. I also want to link a page I was sent via Twitter where some guys talk about their experiences, good and bad, on Pucatrade. I’ve certainly had ups and downs, and the short version is that as long as you are participating, trying to do things better, they will get better. I would also really like to hear from you if you’ve been working Pucatrade over by sending out booster packs. It would seem to me that the postage is prohibitive, but considering that you can get boxes for about $90, that’s 250 points a pack and you can move them for 394 points. Arbitrage for the win! Now, on to my picks! It being winter break, and with Aether Revolt spoilers due soon, we are at some delightfully low spots. Almost everything is a buy for me this week, in contrast to a couple weeks’ worth of sends. It’s the surprises that keep me coming back. As we travel further back in Magic’s history, raiding old draft boxes, we are at five and six and seven years ago. If you’ve been playing all this time, maybe you remember these formats. Maybe this is your first exposure to some of these cards. Remember, these are all commons and uncommons. Our goal here is to mine for the cards of not just value, but demand. It doesn’t do as much good to have one $10 card that moves in a year, as compared to ten $1 cards that I can move right now. I also want to note that I’ve seen some of the cards I highlight move in price. Last week, Galvanic Blast was nearly 100 points, now it’s under 80. I’m not blaming anyone, but it does seem that the faster you move, the better off you will be. 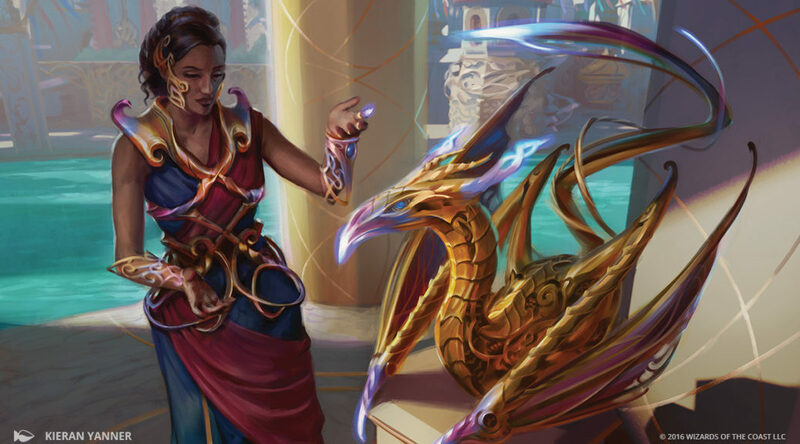 This week, we are covering the newer standard of core sets, as well as Zendikar block, widely given credit as leading a renaissance for Magic.